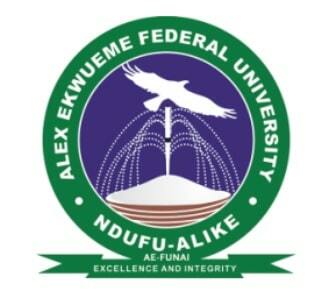 Alex Ekwueme Federal University, Ndufu Alike, AE-FUNAI Postgraduate Admission Form for the 2018/2019 academic session is now on sale. The management is using this platform to invite suitably qualified candidates for admission into the postgraduate programmes of Alex Ekwueme Federal University, Ndufu Alike, Abakaliki, Ebonyi State, leading to the award of Postgraduate Diplomas and Master’s and Doctorate Degrees in various areas of specialization indicated below, according to the Departments/Faculties for the 2018/2019 academic session. All applicants shall undergo computer-based postgraduate admission screening test, the screening date will be communicated to all applicants via SMS. Sale of AE-FUNAI Postgraduate Application Forms will close two months from the date of publication. (i.e 30th November, 2018).